Read about our Board of Directors here. Mike brings his wealth of experience in directing and managing successful business oriented SME companies, both in the UK and overseas, working in the international development sector. 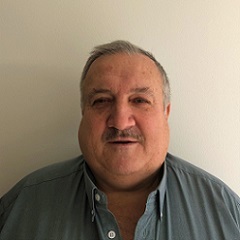 He is an experienced Programme Director and Training and HRD consultant with over 30 years’ experience working in the developing world, particularly on the African continent. 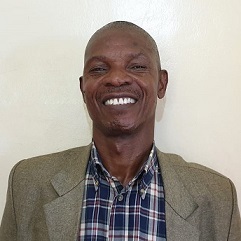 Mike has extensive capability in directing, managing and coordinating project work programmes aimed at building management capacity at senior level within government institutions and in particular the change management aspects of institutional strengthening and development. He is an experienced rural development practitioner with experience in facilitation and coaching both at senior and grassroots level in the field and planning and conducting workshops and monitoring performance in many areas including community development, sustainable livelihoods, small farmers, fisher folk, women in development and gender roles. Matt leads our business development activities working closely with our researchers not only to successfully bid for new projects, but also to expand EDI into new areas of research and into new markets. Matt lived and worked in Tanzania for six years and has been part of the EDI team since 2005. In his tenure he has overseen EDI as it has grown from implementing 2-3 surveys a year, to over 20 surveys a year, with much of this growth facilitated by the systems and processes that he developed and implemented in his early years with EDI. Matt is a problem solver, his passion lies in planning and budgeting. Over the past 14 years he has proven exceptional adept at planning logistically complex field programmes and has provided project management oversight to 50+ surveys. He holds a PhD in Chemistry and has extensive consultancy experience in Public Sector Management, HR Management and project evaluation. Matt is also responsible for the day to day management of our UK operations overseeing all administration, finance and logistical functions and holds the post of Company Secretary for the UK company. 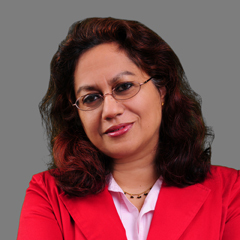 Anu is a Senior Vice President and managing director of Mathematica’s international unit. She coordinates more than 50 researchers conducting research and evaluations in education, agriculture, health and nutrition, and infrastructure in Asia, Africa, and Central and South America. She is an expert in experimental and QED evaluations, cost-benefit analyses, and taught program evaluation at the Woodrow Wilson School at Princeton University for several years. Previously, Anu played key roles on evaluations of education, labor market, welfare, nutrition, and disability in the domestic policy context. Dr. Rangarajan holds a Ph.D. in economics from Brown University. Nancy Murray has more than 20 years of experience in international development program evaluation, education, adolescent and maternal and child health, and nutrition and the family. Currently, Murray is project director of the LAC Reads project, a USAID-funded set of impact evaluations of early reading initiatives in Latin America and the Caribbean. 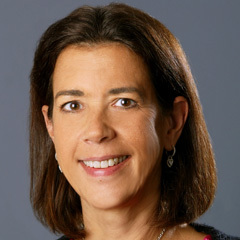 She has had key roles in designing and leading evaluations of international health and education programs in Latin America, the Caribbean, and Africa. Murray, who joined Mathematica in 2007, was previously the deputy director for the Center for Health Solutions at Futures Group International. She has published in Studies in Family Planning, Social Biology, International Family Planning Perspectives, Vulnerable Children and Youth Studies, and Maternal and Child Nutrition. She holds a Ph.D. in sociology from the Johns Hopkins University and an M.P.H. and M.A. in Latin American studies, both from the University of California, Los Angeles. 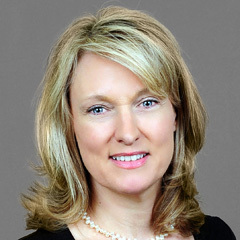 Tamara Barnes serves as Mathematica’s general counsel and corporate secretary. Before joining Mathematica, Barnes served as associate general counsel, mergers and acquisitions, for American Standard Companies, Inc., and as corporate finance and mergers and acquisitions attorney at LeBoeuf, Lamb, Greene & MacRae L.L.P., and Baker & McKenzie in New York and London. She has spent a significant portion of her career working overseas on mergers, acquisitions, and finance matters. Barnes was awarded a postgraduate fellowship sponsored by the World Bank’s Corporate and Banking Law Reform Initiative in Moscow. She received her juris doctorate in 1993 from the Sturm School of Law at the University of Denver, with honors. She was also an editor of the University of Denver Journal of International Law and Policy. She holds a bachelor of arts in history, with honors, from the University of Colorado. 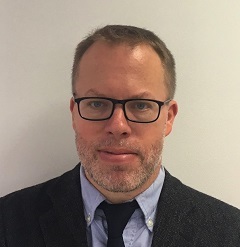 Respichius has over 14 years’ experience in academic and professional research and has played a lead role in the development of EDI’s Research Department since the company’s formation in 2002. He has extensive experience of the planning, implementation and management of large scale survey assignments across Tanzania for clients that have included the Millennium Challenge Account – Tanzania, World Bank (PREM, Social Protection Unit, DECRG, TUDTR), MCA-Tanzania, Royal Netherlands Embassy, University of Oxford, TASAF, the Netherlands Development Organisation (SNV) and Tanzania Government (PMO-RALG). In his role as Country Director Mitti has ultimate day to day responsibility for the smooth and successful running of the Tanzania operations, whilst implementing the country strategy. Aris has been working with EDI in Tanzania for over a decade and in 2014 became the Finance Director for the Tanzanian based business. Within this role he has to implement all senior finance functions including payroll, taxation, internal audit, bank reconciliation whilst overseeing the members of the finance department. Aris also undertakes the training of Field Coordinators, Supervisors and other imprest holders in EDI’s field financial management procedures and tools. 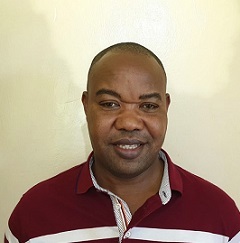 His hard work was integral in EDI achieving the award of ‘Overall Winner’ for the Kagera region for outstanding Tax compliance and contribution at the 8th National Taxpayers Day in 2014.